Nothing says party quite like a chilled punch bowl! 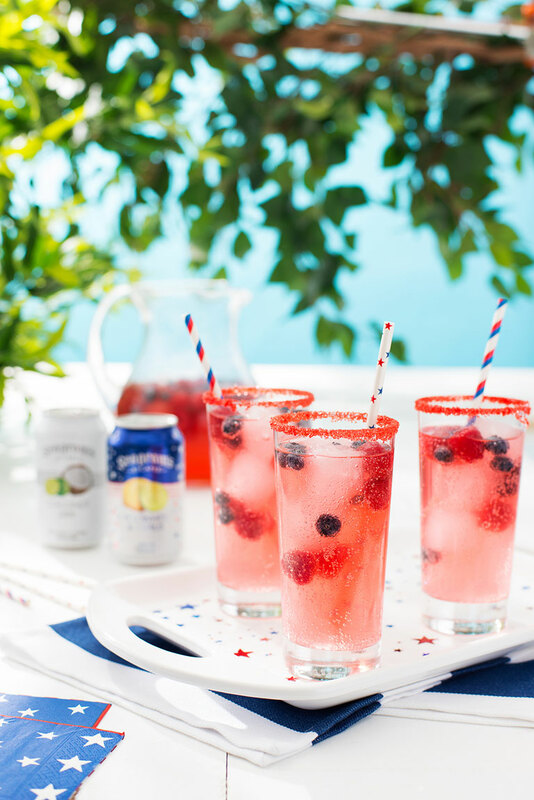 Get fun and festive this summer with this refreshing cocktail that’s perfect for entertaining. 1. 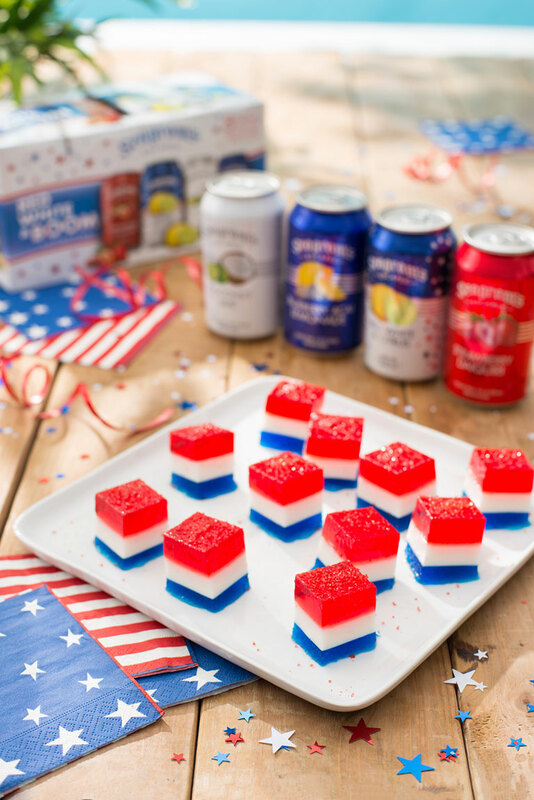 Divide Seagram’s Escapes Coconut Lime among 2 star-shaped ice cube trays. Place raspberries and blueberries on baking sheet; freeze for 2 to 4 hours or until frozen. 2. Place glitter in shallow dish. Dip rims of serving glasses into lemon juice; shake lightly to remove excess juice. Dip into glitter. Set aside. 3. Combine Seagram’s Escapes Red White & Citrus, sparkling lemonade and grenadine syrup in large punch bowl; stir in frozen berries and star-shaped ice cubes. Ladle carefully into glitter-rimmed glasses. Tip: Garnish with additional berries or ice cubes if desired.